This is the third custom L shaped reception desk we built from Surround Architectures designs for Boulder Brands in Boulder, Colorado. 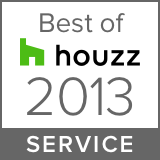 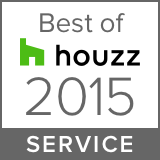 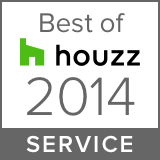 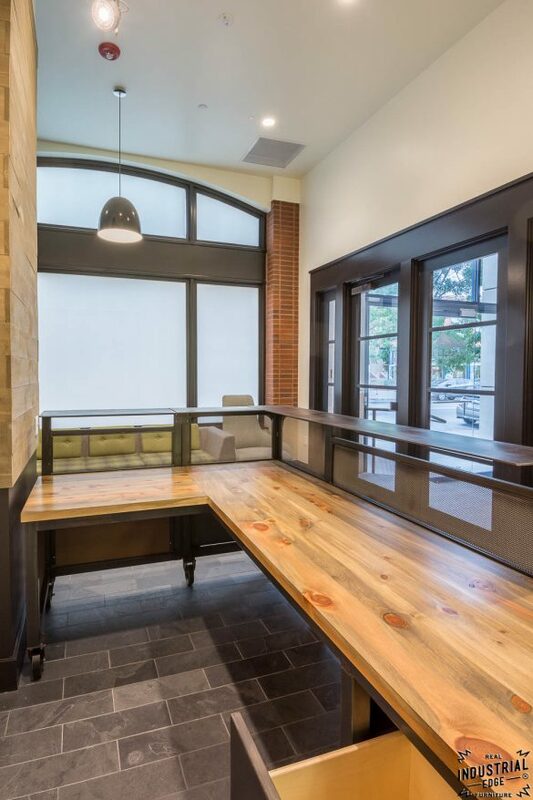 The original two were built in 2013 for Boulder Brands initial build on Pearl Street. 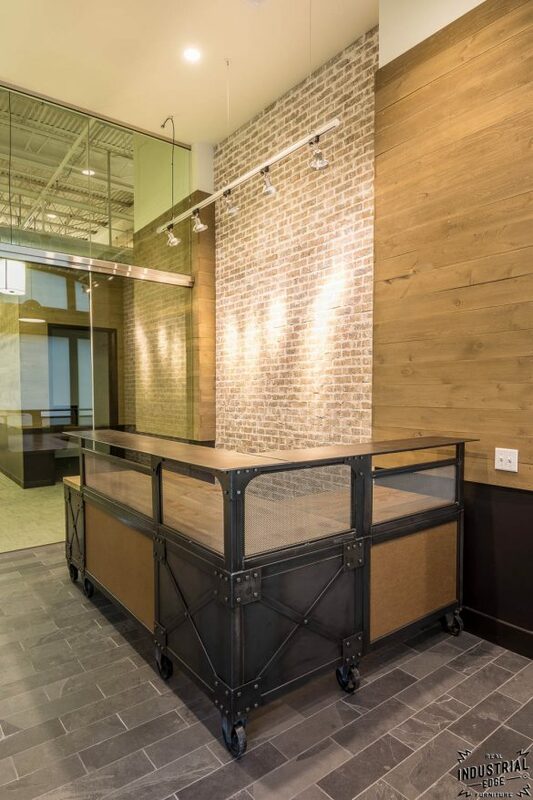 The last was built in 2015 for their expansion into the public tasting room. 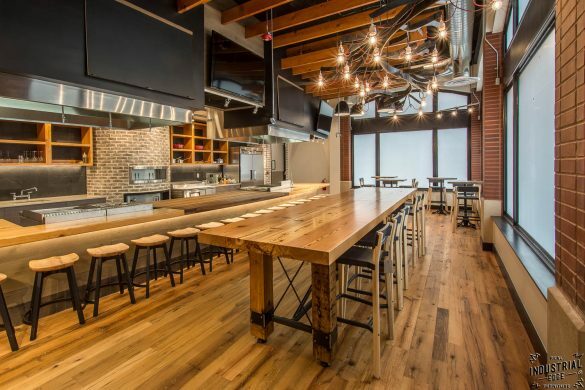 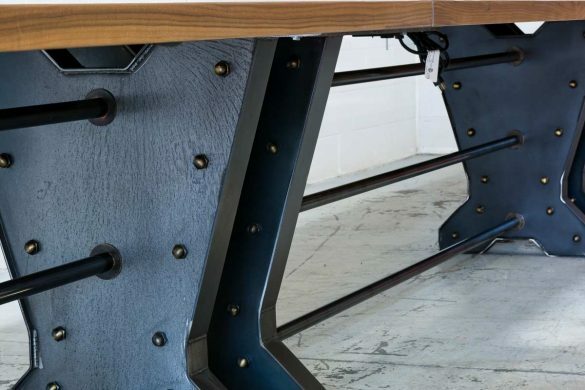 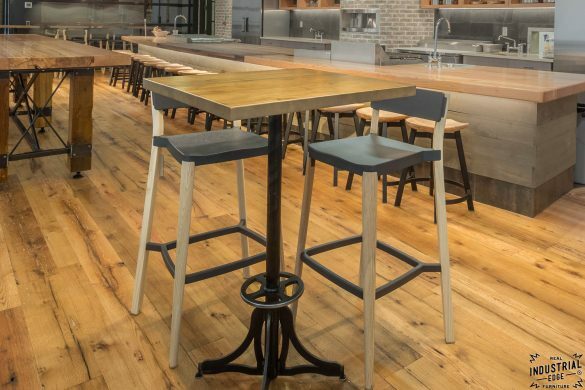 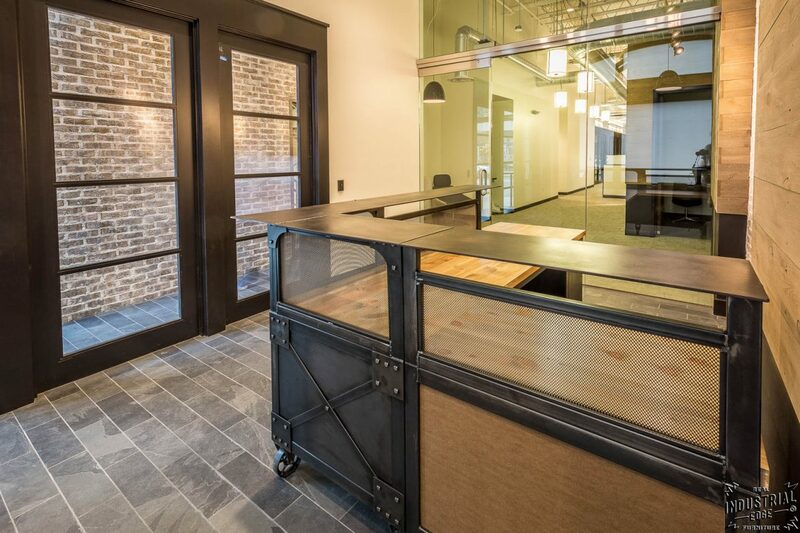 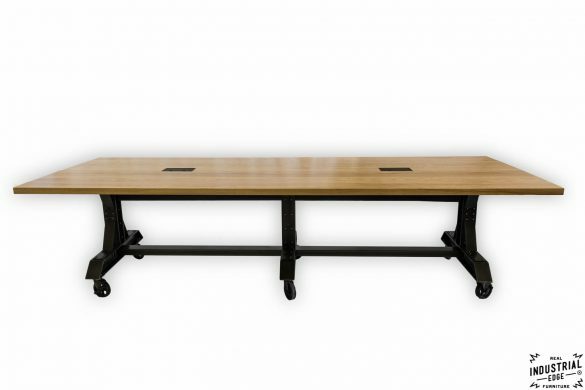 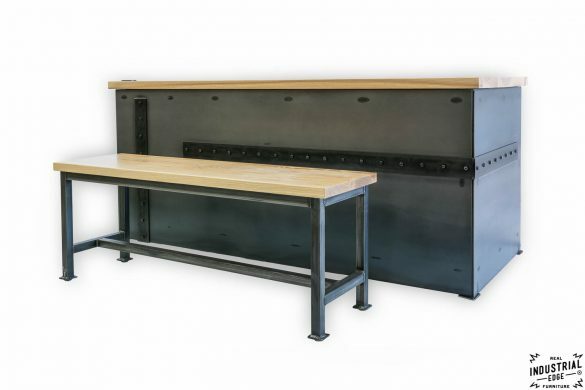 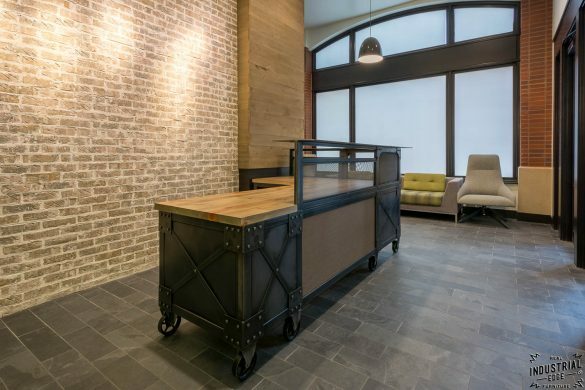 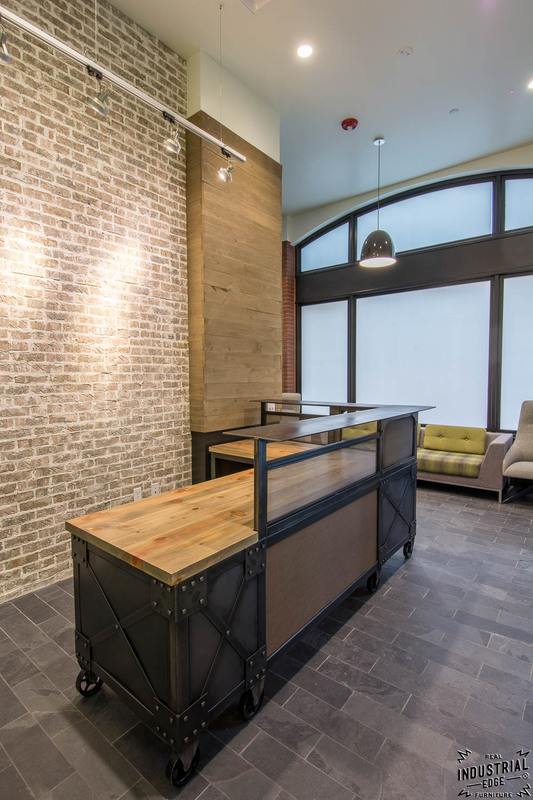 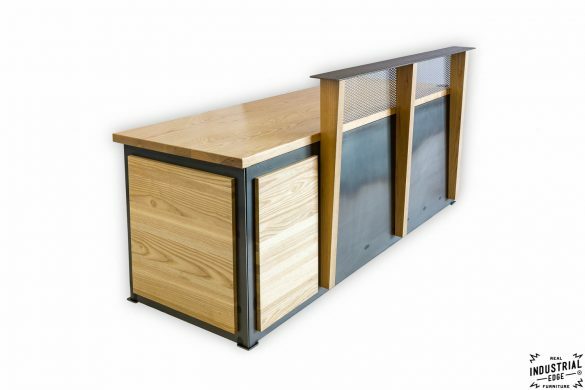 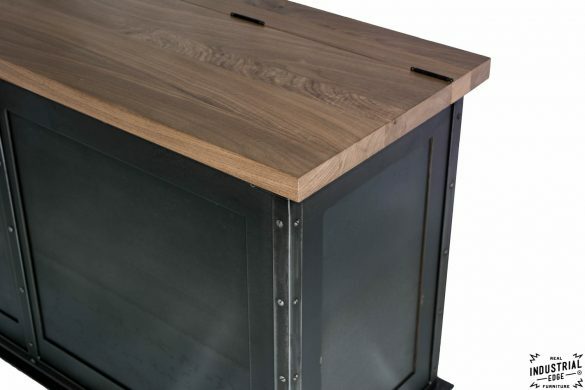 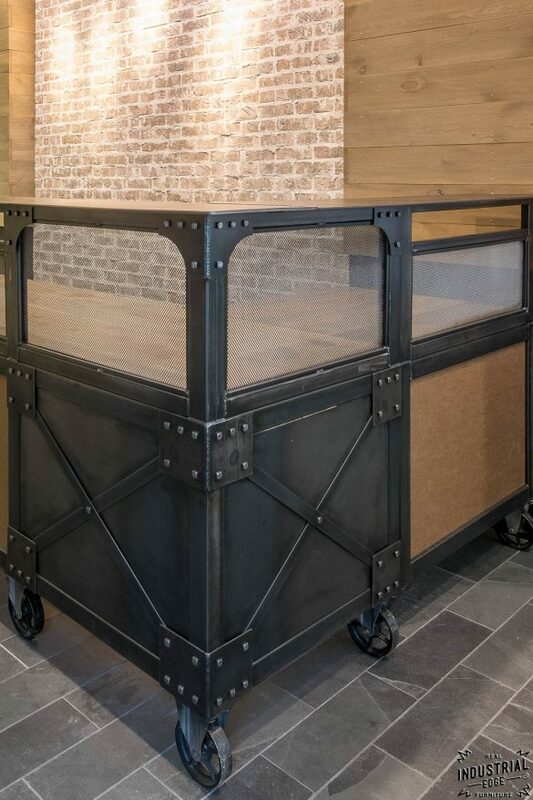 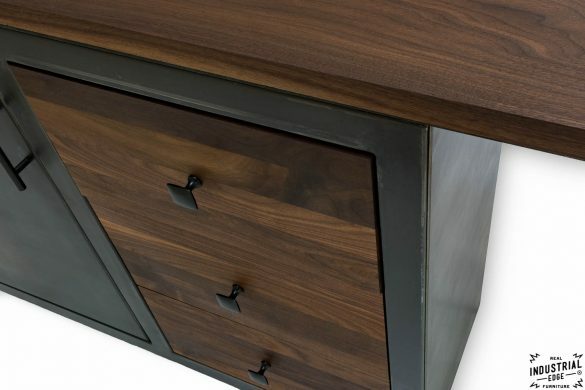 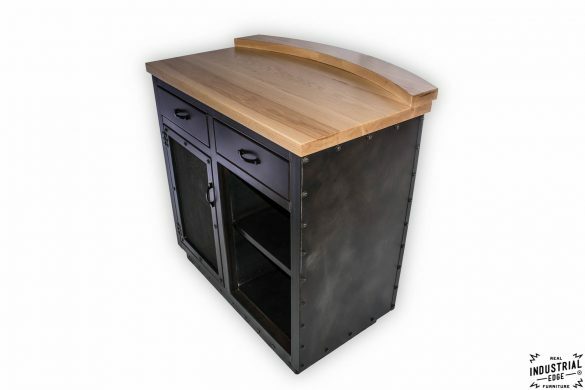 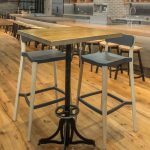 During the 2015 expansion Real Industrial Edge Furniture built this reception desk, eight custom designed bistro table bases, and a substantial 16 foot long farm table. 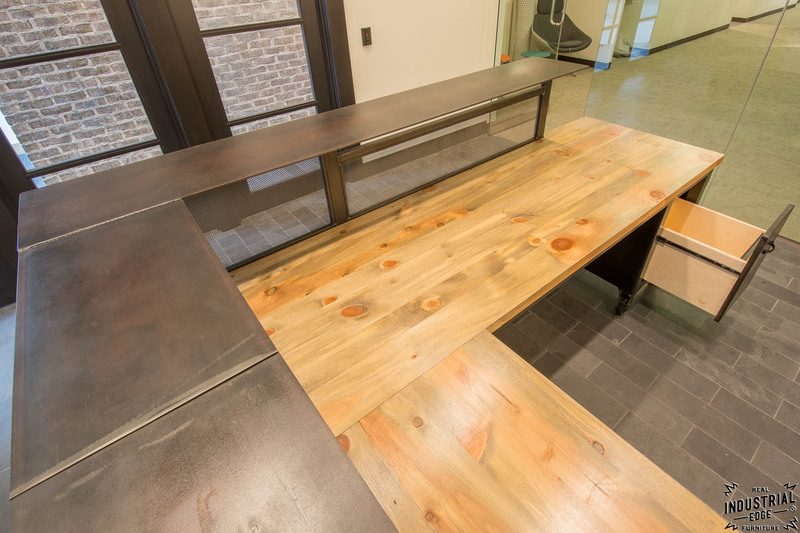 This desk features a solid 1.5″ thick reclaimed beetle kill pine top finished with a natural graying product. 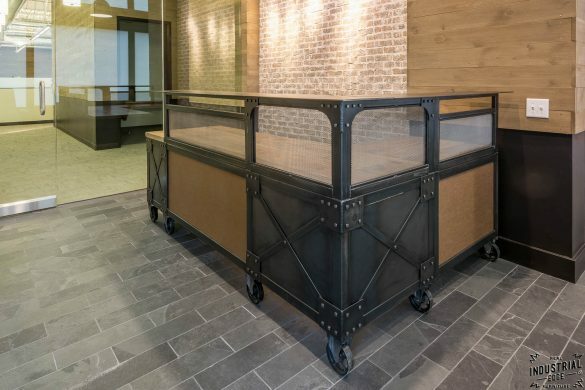 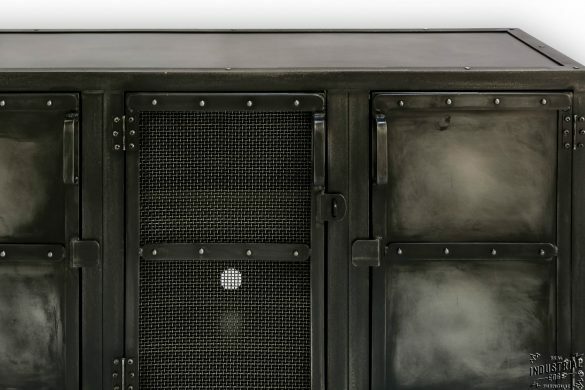 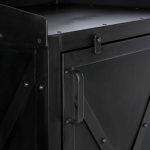 The base is a steel frame with inset sheet metal, inset mesh privacy screen, and suede finished panels. 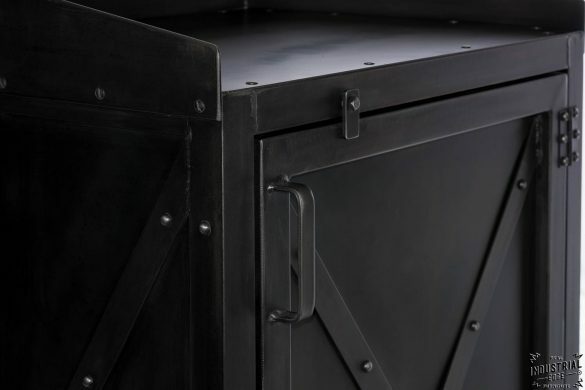 The beauty is in the details with custom brackets, blacksmith bolts, a custom steel faced file cabinet, and cast iron casters.